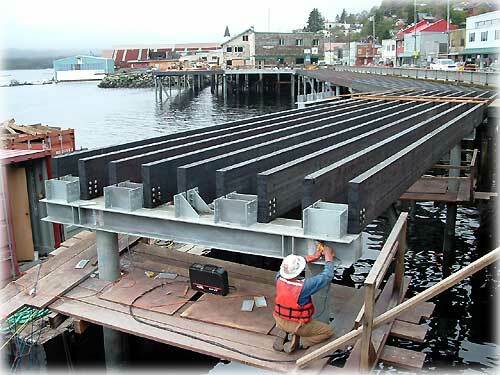 Ketchikan, Alaska - Work began on the new Berth 3 project in mid-August with the demolition of the small boat harbor. This photograph shows the work completed at Casey Moran Harbor as of October 18th. The prime contractor for the City of Ketchikan's $38 million cruise ship dock reconfiguration project is American Civil Constructors Hurlen - a Washington based company.